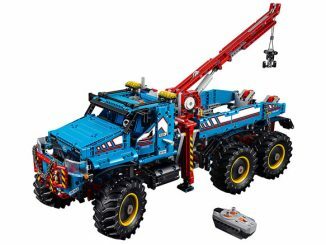 Remote control toys are fun. 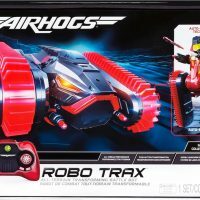 RC toys that are all-terrain, transform fro tank to robot, and fire missiles like this Air Hogs Robo Trax Transforming All-Terrain Tank are insane! 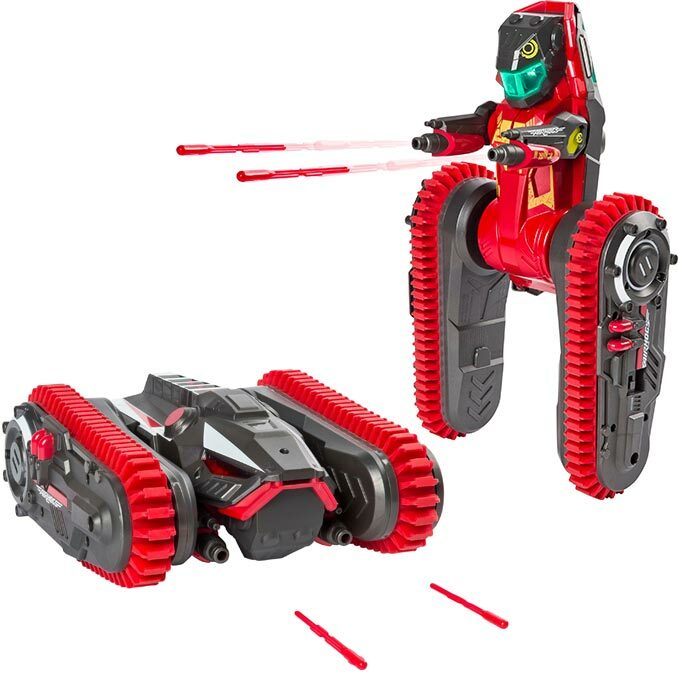 With its all-terrain tracks, AirHogs RoboTrax can drive over rugged surfaces including rocks, gravel, sand, and grass. 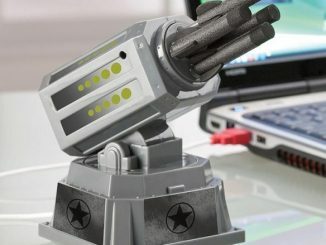 Push a button and it stands up, transforming from tank to self-balancing robot. 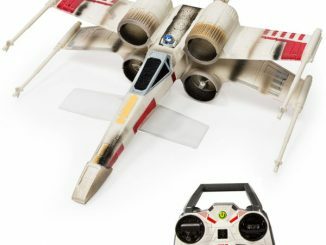 It also features two missile bays and comes with 6 missiles for battle. 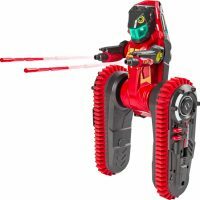 The remote control works up to 100 feet away, and a 60 minute charge gives you 10 minutes of play time. 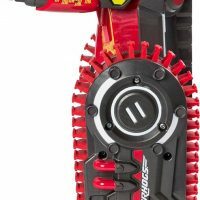 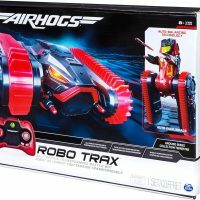 Launch surprise attacks with this Air Hogs Robo Trax RC tank. 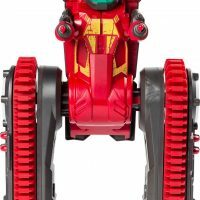 Its all-terrain tracks can take on rugged surfaces, and it can transform into a self-balancing robot that fires missiles for exciting battle play. 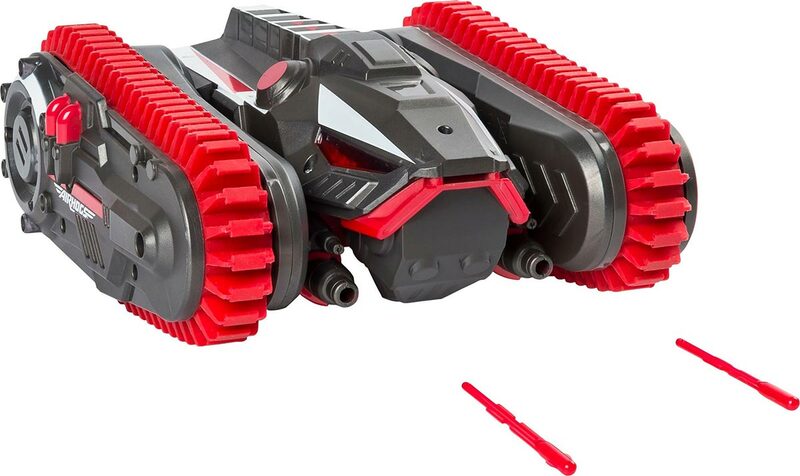 This convertible Air Hogs Robo Trax RC tank keeps on rolling when flipped onto any side. 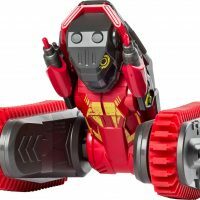 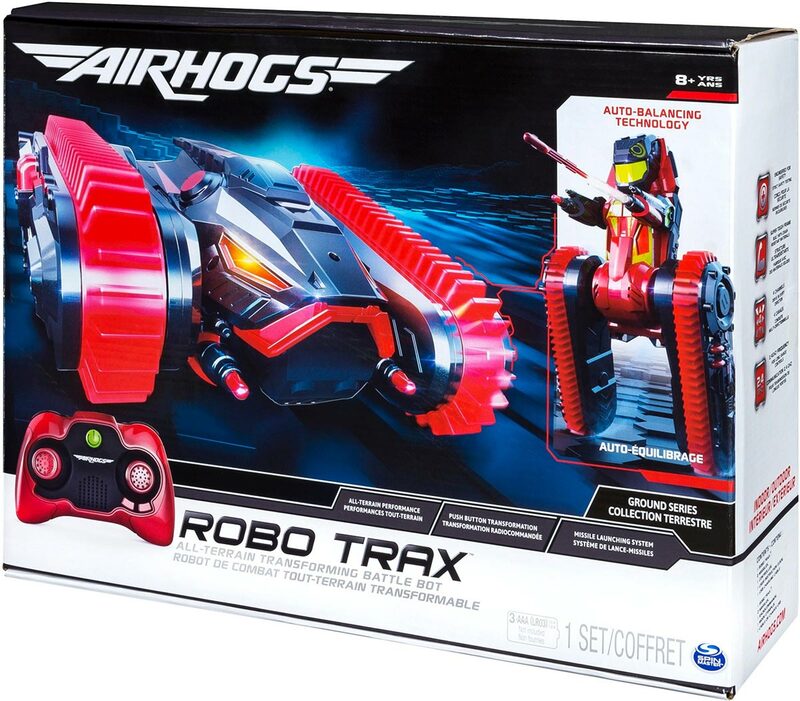 Air Hogs Robo Trax all-terrain tank: Tackle any surface with Air Hogs Robo Trax. 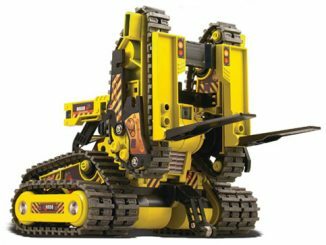 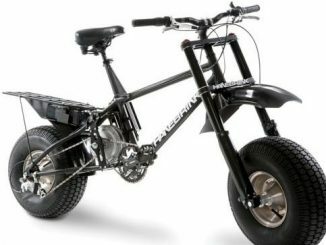 Built to handle outdoor ground, this all-terrain tank can tackle rocks, gravel, grass, and sand. 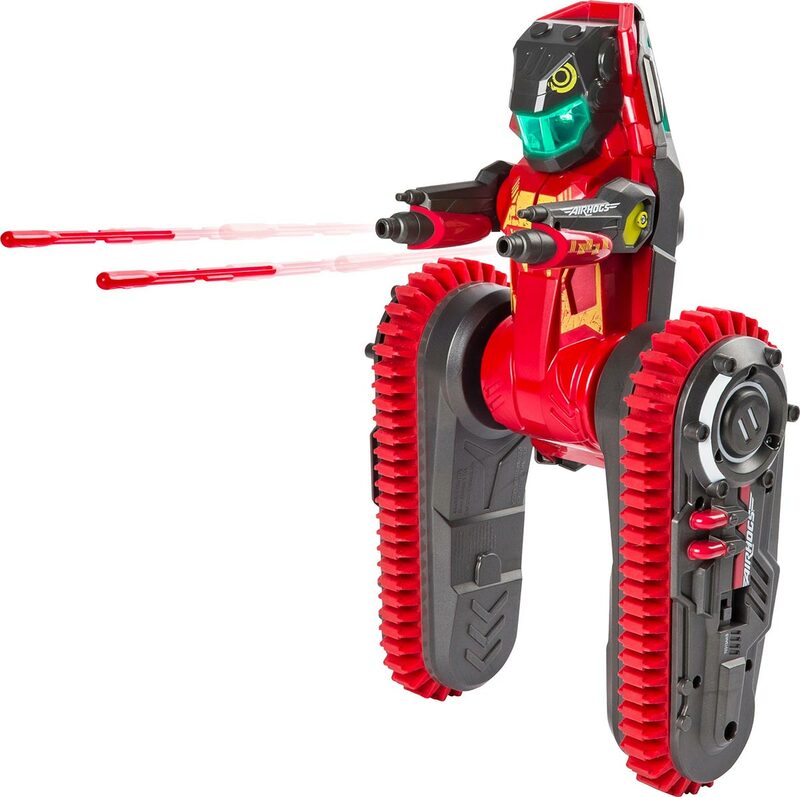 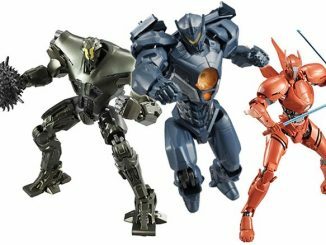 Robot transformation: Transforms at the push of a button. 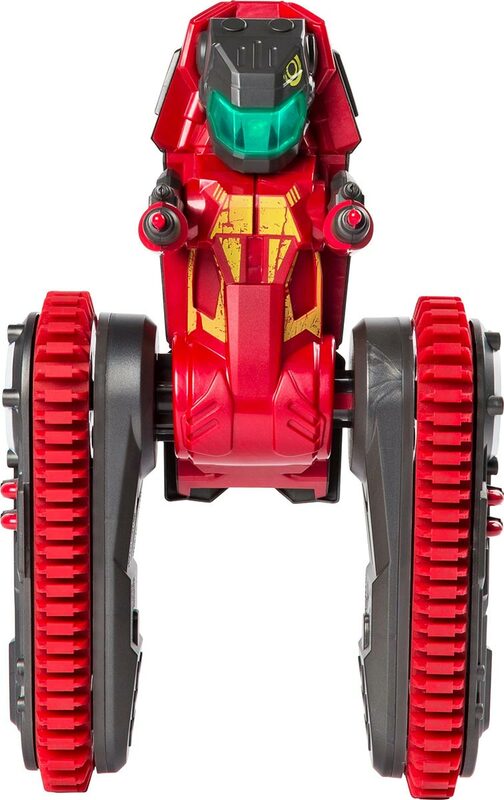 Stand up and go from an all-terrain tank to a self-balancing robot. 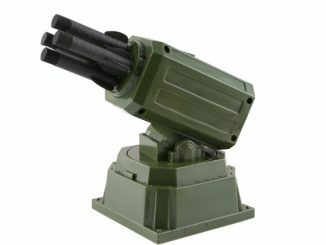 Radio-controlled: Communication range of 100′, frequency range of 2.4GHz. 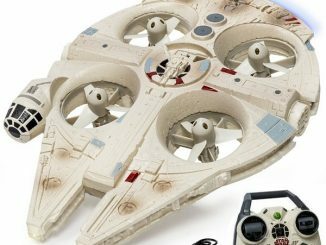 The controller requires three AAA batteries (not included). 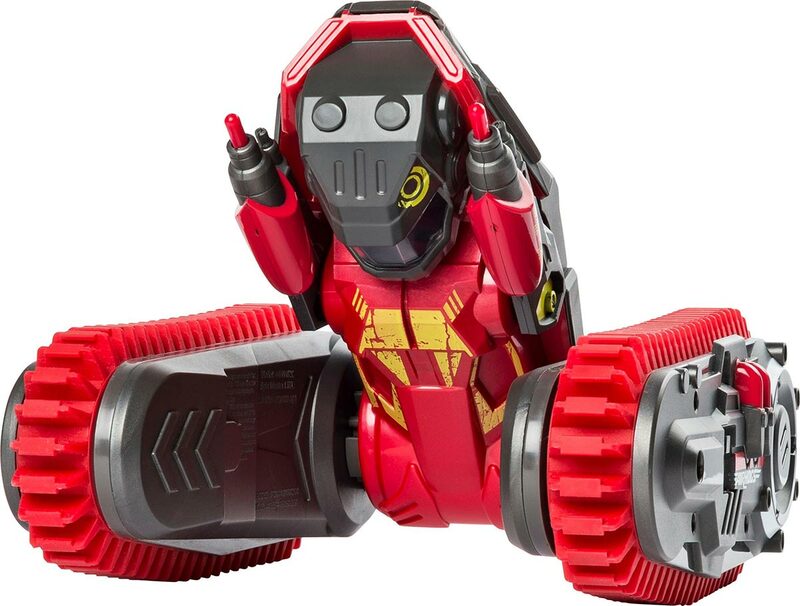 Long-lasting batteries: Charge for 60 minutes, play for 10 minutes. 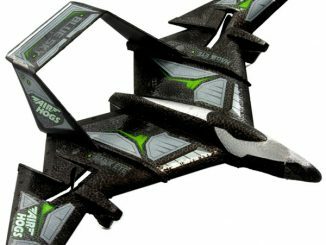 Armed with two missile bays and six missiles: You’ll be equipped to handle even the most treacherous battle situations. 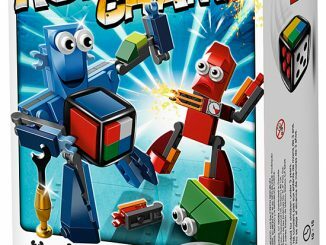 Recommended minimum age: Suitable for children ages 8 and older. 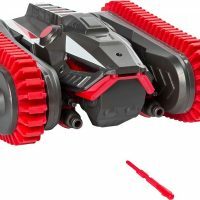 Air Hogs Robo Trax is the only all-terrain RC tank that also turns into a missile-firing robot! 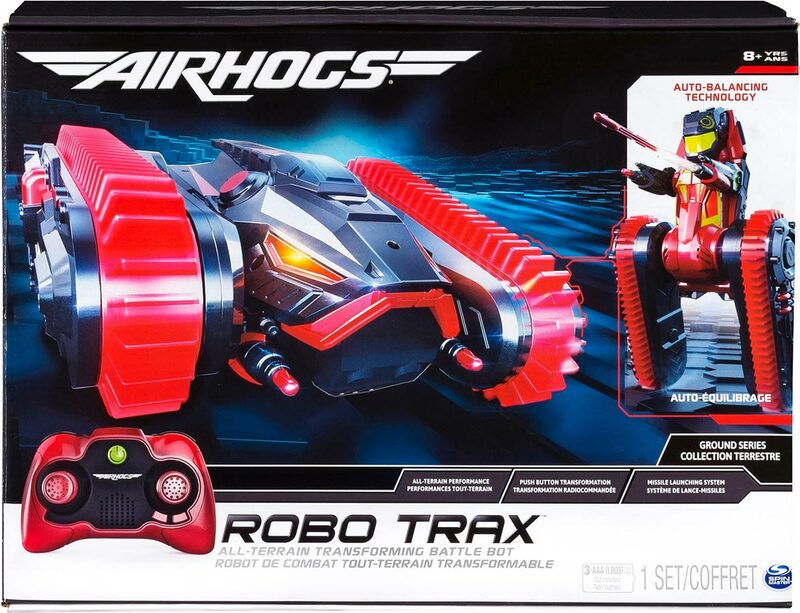 Watch as Robo Trax takes on multiple terrains and stands up to his ultimate nemesis in incredible RC action, only from Air Hogs.